The Viral Garden: How 'social' should companies be? How 'social' should companies be? My policy on who/how many people I follow on Twitter has become much more lax in recent months. These days, I follow back most of the people that follow me. The downside to this is that a lot of these people will immediately unfollow me as soon as I follow them back, I guess in an attempt to 'pad' their follower count. So every few weeks, I like to go through my Twitter network and 'cleanse' it. I will unfollow a lot of the people I am following that aren't following me, and at the same time I will try to follow back people that followed me that I somehow missed. I was doing this today (using Twellow), and I began to notice a trend as I was going through the people I was following, that weren't following me. I was following a LOT of people that write for Mashable, that weren't following me back. I finally found SEVEN people that identified themselves as writers for Mashable, that weren't following me back. I'm not talking about people that occasionally write for Mashable, these are seven paid writers for Mashable, not counting Cashmore (he isn't following me either). I checked the ratio of people they follow to those that follow them. The 'best' ratio I found was one writer that was following back roughly 33% of the people that follow him. The worst was less than 10%. I got to thinking about this, and honestly I'm not sure of the significance. Will I stop promoting Mashable on Twitter because none of their writers will follow me back? Probably not. Now do I think it's hypocritical for the site to bill itself as 'The Social Media Guide' and only follow back a fraction? Yeah, a little. Is that enough to make me change how I share their content with my network? Probably not. So at the end of the day, who cares? That's what I'm wondering about. If a company is at all connected to social media, whether it's via content they aggregate, or create, or distribute, or services they offer, are these companies held to a higher 'standard' when it comes to using social media? If an agency brands itself as being 'experts in making companies social', and they aren't using social media to be social themselves, is that a disconnect? Are they expected to be more 'social'? Should they be? At the end of the day does it really matter? UPDATE: As I continued to go through the people I am following that aren't following me back, I noticed that I also had several from Twitter. Which is really ironic. I think about the same as you do. I used one of the cleaner things and it was calling people "snobs." That seems about right to me. I don't know about other folks, but sucking up to the cool kids never got me anywhere in Jr High, don't know why it would on Twitter either. But if someone has something interesting to say, I'll swallow my pride and follow them. Mack I think you are dead on.They could filter just like we do and use the tools to see what is happening especially with Twitter. Eat your own dog food or I think you might not be authentic right?? I think pretty much like you do, Mack. (Nothing new there.) Sometimes the 3rd party tools can be wrong about following/followers, I've learned from trial and error. I'm only following about 1 in 6 and have been thinking of increasing my ratio. There are some people I follow who don't follow me back. But the main thing I look for then, is do they respond to @ messages? I try to respond to all @'s even if I don't follow a person. Steven I think that's a good point. Maybe we are 'willing' to overlook this because Mashable does such a good job of getting us valuable social media news. But if a competing site got some momentum, and started REALLY embracing its readers, followed everyone, interacted on Twitter, then I think that would definitely hurt Mashable. Or if they focused on how the 'community' was creating/bringing them the content (and they highlighted the people that did this), then I think it might make Mashable's writers rethink how they use social media. I have to say that I'm immensely troubled by this post, not because I work for Mashable but because I think that this is off the mark. And before I go further, these comments reflect my personal opinions and not my employer. I understand the desire for reciprocity, but I see why a lot of people don't follow. Why? Spam, expectations, and value, among other things. I have several Twitter accounts and among the accounts where I actually reciprocate friendships, I get a BOATLOAD of spam. It's incredible. I'm glad that I follow less than 10%. Just so you know, though, I am more engaged with people on some of the Twitter lists I follow than the people I follow directly - so while you may have simply isolated me as the individual following less than 10%, it's the wrong judgment here. And if it's not me, well, we don't know how other people use Twitter. Everyone uses it differently. Let's not make judgment calls. Expectations, you ask? Once you open the door for communication, people want more. They think it's a dedicated line to ask for favors. That's why I pruned my follower list. It happened way too much. I was actually quite surprised by it. Furthermore, people choose to follow others because the others add value to them. If there's no value add, why would they follow? Just becuase they should? Who says that they should? Social media is a two way street. You can't blame someone for not immediately being trusting or open to the world -- there are reasons that individuals are independently safeguarded. That doesn't mean they're not social. A few months ago, I tweeted the following: "the great thing about twitter is that the account holder can choose to use it as s/he wishes. freedom to express, freedom to un/follow. woo!" That tweet got retweeted by @ev and 43 others on Twitter.com -- who knows how many times it was retweeted through RT. Everything you do on social media is a choice. If you're active on Digg and expect everyone to Digg your stories, that's wrong. If you're on Facebook and expect them to be a fan of your page just because they CAN, that's also wrong. Who cares if they represent the most social organizations in the world or whatever else? Social media doesn't have a fixed set of rules, nor should it have to. Everyone can define social media the way he wants it. There's no best practice to follow everyone who follows you either, and I'm not sure if this blog post was a call for such a standard. There's a reason why Twitter is made for you to choose who to follow. If reciprocity was forced, I don't think people would still be hanging around. Being social doesn't mean you have to open your house to everyone. It means selectively finding those who individually matter to you as a business or as an indivdiual. No social circle is symmetric (I'm sure there are people offline who I like who don't like me) nor is there any social circle in the world that is identical to any other. If you're using Twitter because you expect people to follow you, and you think that all "social" organizations must immediately "play the part" by your standards, you're doing it wrong. And as Chris Brogan once said, following doesn't equal engagement. Tamar I wasn't referring to you in the post at all. I didn't think you were a regular writer for Mashable (I know you write the conferences guide for them, right? ), and besides you're following me. I'm sorry if you got the wrong impression. I started to name the people that weren't following me from Mashable, but that seemed silly. Actually to be honest, even writing the post seemed a bit silly, but I wanted to throw the idea out there to see what others thought. For me, the biggest thing is that of the seven regular writers for Mashable that I follow, NONE of them are following back AND all of them are only following a fraction back of the people that follow them. That's what got my interest, I thought it was a bit peculiar given that Mashable is branded as 'The Social Media Guide'. And as I added in my update, I noticed several people from Twitter that also weren't following back, which is honestly more peculiar than the Mashable example. Mack, I didn't think you were talking about me but I wanted to cover my bases just in case you were. Still, in defense of my colleagues, why should you expect reciprocity just because Mashable.com provides social media news? *That's* why it's called The Social Media Guide -- because the publication itself serves free high quality social media news everyday. Hopefully, you're not following Mashable writers on Twitter because you want a follow-back. You're following them because they are providing value to you. That's how it should be: people following others because they offer good quality content. There are millions of individuals who elect not to follow others because they are not interested in what they have to say. Another reason for not reciprocating is simply an issue of volume. There's no easy system to automatically evaluate new followers to follow back, especially when you have thousands of followers. Going through each individual follower is difficult. I stopped doing it years ago. Social media means being social among the people who influence you. You don't have to be everything to everyone. I reiterate all my previous points from my last comment. I responded to this because regardless of my relationship with Mashable, I personally identify with this specific issue. After all, I'm following 2% of the people following me. I think the expectation that I must follow a bunch of people who I do not know or do not offer value to me is a whole lot of bunk, and quite frankly, is very offensive. Are you going to tell me I'm not social now, or did I make the cut because I'm following you? Either way, if it came from someone I wasn't following, all my points remain. Everyone is entitled to use social media in the way he/she defines. Some of those ways may be spammy. Some of those ways may be selective. It's their way. That doesn't make them any less social. Again, these are my own opinions and do not reflect those of Mashable. As a Company or a brand the ratio followers friends is nice but missing info. The idea is to use twitter to make impact on those that are following you. To me the question is how many tweets would I have to write to have an impact in followers who follow a lot of peaple? So what would be interesting to know is how many tweets are your followers managing? How can i get my message over other follower's friends? Mack, I wouldn't worry about it too much. If I were in their shoes, I'd try to keep my stream topic rich. It wouldn't surprise me if they were moving people off the main Follow, and onto topical lists. But the fact that you spotted seven who are doing it carries the whiff of powder - a smoking gun. It certainly is less social to only follow a few people back. However, that doesn't make it wrong or an invalid use of Twitter… it just makes it less social. The dynamic of watching and interacting with lists of people that you don't follow extends this slightly but still presents a different, less social, dynamic to the community. I actually blogged about this on Tuesday and charted some of this out in detail based on a similar analysis that Mack has done here. (http://bit.ly/apAbkW) What this divergence between followers and following does is make it difficult for the average user to engage in a meaningful way with the community they see in their timeline. It makes it less useful as a social network. Contrast this to something like the average user of Facebook. Friends and followers are the same thing there. When you push out an update it goes to the people you would expect, the people in your timeline view. Not so in Twitter, typically. This is by no means an attack on those who don't follow back. Twitter just isn't that great at being a "social" network. It's much better at being a feed network and a real-time information tool. It does a great job of that in some important ways. Follow the feeds you are interested in and perhaps create a feed of your own by posting updates. Experienced users may be able to tweak this into a social model, but that's not really how it's designed. Thank you for the clarification on that subject. I tend to agree with most of what you say - theoretically what you say about social media is true. Many a times I have had to un-follow people, not because they were uninteresting but because their tweets were clogging my space. It is about engagement - our engagement- some of the people I follow are not aware of my existance. I follow them because they add value and those who clog my space - I have another twitter account where I follow them. Companies should be following back every human, non spammer that follows them. The concept of being a Twitter *rock star* with millions of people following you while you only follow 10 people does NOT extend to corporations. Essentially you're continuing the tradition of non-engagement with your customers. They can buy your product, recommend it to their friends, but their lives are inconsequential. That is the feeling they send. Now, on the topic of employees not following people back- you're absolutely right. They're ivory tower twitterati who are in Social Media 1.5 believing they can only follow 100 people. It's their personal call, but I never like seeing it. Chris Brogan is famous for replying to everyone, and recognizing that "I see you too." I just want to mention something that I said to Mack in DM last night. A higher standard just because you blog on social media (or for anyone) is kind of ridiculous. Mashable isn't a superpower; every one of us is human. Information overload affects every one of us. And the only other thing I'd say is that I don't think someone is "less" social by following people selectively. What if, on the other hand, someone decided to follow 50,000 people but did not engage at all? Are they more social simply because of the perception that they're following more? Obviously not. Yeah. I could ramble on and on about this. I am troubled by the logic and the nods in agreement. I think it's purely ego when people have disproportionate Twitter ratios. It's really easy to ID spam when Twitter sends you the notification that someone knew is following you. Filtering who you follow is just as easy. I personally believe that Mashable should be held to a higher standard. I follow one regular writer and have been meaning to unfollow him for weeks now. He brings no real value to my stream. His most valuable tweets? Mashable articles, which I don't need a tweet to tell me to read. Hey guys, great comments and I wanted to clarify a couple of things before I addressed specific points made. Ike, the 'smoking gun' was what caught my attention. It wasn't that one person wasn't following me, it was that NONE of the seven were. And as Tamar points out, simply not following a lot of people doesn't mean you aren't 'social' in Twitter. So I checked with TweetStats to see what percentage of the tweets for the writers were replies. While this isn't perfect either, it is a fairly good indicator of the importance that these people place on using Twitter as an engagement tool. Of these seven people, the average percentage of their tweets that are replies is 36%. That's low, and a pretty good indicator that they are using Twitter primarily as a broadcasting medium, not as an engagement platform. 2 - If you say 'no' to the first question, does your opinion change if you are dealing with a company whose existance is tied to social media in some way? In this case, I think it's more important to be mindful of how you and your employees use social media, and this is the umbrella that Mashable falls under, IMO. Does that mean they SHOULD be social? Or should use social media in a way that I or anyone else think is 'right'? Of course not. But as I said in the original post, the way Mashable uses social media, since they are branding themselves as 'The Social Media Guide', does make a difference to me. Case in point, let's say one of these writers writes the post for Mashable entited 'The Mashable Guide to Networking Via Twitter'. Let's also assume that a couple of the steps they suggest you take are 'Follow back the people that follow you', and 'Engage often with those followers'. At this point, they are begging for someone to point out that the writer in question only follows back 10% of the people that follow them, and that only 25% of their tweets are replies. Tamar this is where I disagree with you on the 'higher standard' issue. I think if you are going to brand yourself as being 'The Social Media Guide', then you are implying with that, a certain level of social media expertise. And with that, comes a greater scrutiny in how you use social media. 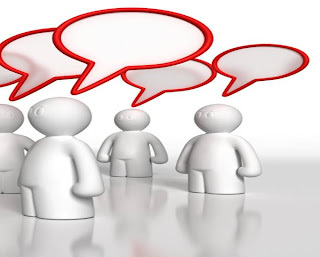 I run into the same issue, if I am writing a post about how companies can use Twitter to connect with customers, then I am opening myself up to criticism if I am not using Twitter to connect with my potential customers in the ways that I advocate that companies should. At the end of the day, none of these people owe me ANYTHING. Let me make that perfectly clear. But I'm sorry, when I look at the fact that this group is only following 10-33% of the people that follow them, and that only 36% of their tweets are replies, what I hear is 'We don't want to engage with you'. As I told Tamar, I see that as a disconnect, and disconnects bother me. I wouldn't expect every Mashable employee to engage actively on twitter, but it would be a good gesture if they had one or more people designated to interact with their readers. Sara thanks for mentioning that. We all agree that no one at Mashable HAS to interact/engage with their readers on Twitter. But I think the real question is; Why wouldn't they WANT to? I mean the more they engaged with readers on Twitter, the easier it would make their job. Readers would be more likely to send them feedback on stories, or tips about breaking stories. The additional interaction would only help them do their jobs more efficiently. It's much simpler than that for me. If I run across someone (or some company) whose tweets are interesting to me, I follow them. Otherwise I don't. When I get a 'follow' notification, I try to have a look at their tweet stream. If it looks like it will be interesting or fun to read, I follow them back. I am a bit put off by people or organizations that make a big deal about their follower count. I'm less likely to follow accounts of that sort unless they're really interesting. I don't have that many followers, but occasionally I'll run into someone who says they enjoy reading my tweets. For me, that is the highest praise. "Tamar this is where I disagree with you on the 'higher standard' issue. I think if you are going to brand yourself as being 'The Social Media Guide'..."
Mack, I've said all I really need to say, but again, I'm going to offer the same disclaimer that these are my personal opinions. Mashable.com as a publication is providing social media news. That's why it's called The Social Media Guide. I don't see any writer on Mashable not practicing what they preach. I have never seen Mashable advocate a 1:1 ratio of followers-friends. If that's the case, I understand your argument. Mack, I'm glad you wrote this as I have recently struggled with the question. I follow many who do not follow me back and a recent analysis led to some of the same discoveries you had. There were some "cool kids" I unfollowed but others I did not because I still really like their content. I try to follow most back but it does get tricky to keep up when the numbers are high so I kind of understand why some orgs keep their follow-backs manageable. Yet, on another level it does bother me when social media specialists follow only a small percent or are far too busy to ever answer an @ reply when someone is truly trying to engage them. Why should ratio matter at all? Asymmetry is one of Twitter's best features, making it possible to model people's attention scarcity. When I see anyone following thousands of people, I suspect they're doing so mainly out of reciprocity--because they obviously can't be paying attention to most of the folks they follow. I feel strongly enough about this that I proposed (and Jason Adams implemented) an influence measure that would reflect attention scarcity: TunkRank. Details about the measure here: "Twitter Analog to PageRank". This is a very interesting conversation and I think something that almost every Twitter user asks themselves at one point or another. I frequently defend Lance Armstrong on this topic because people claim that he should follow more people than he actually does, and I say hogwash. I think how many people you follow and who you choose to follow all goes back to how you're choosing to use the tools. I try to read most of what the people I follow tweet. One of my goals over the next couple of weeks is to pare back the list of folks to make that more manageable. I've tried to use lists and read more on lists than my actual tweets, but I haven't been successful at that. Most people are going to follow those that provide them value. How they measure that value has probably a million different answers. Okay people, I've given this some thought, and I now think the whole argument is bogus. If *I* were Mashable, and *I* had a team of a dozen writers, I would *not* want them all following everyone back. I would *not* want to have 12 people following Mack Collier. I would want one or two of them, just to make sure you don't miss anything. It's called a beat system. If you write for Mashable and you are tasked with covering corporate communication trends, then you follow the people who Tweet about corporate communications. If you are the Mashable writer responsible for following mobile phones, then follow the people who are in that field. Being NICE is DEATH, because it buries the stuff you need for your job underneath all the vanity stuff, just to be nice. Being nice doesn't always serve the business purpose. Could they use lists? Could they follow RSS feeds? You bet. But if they want to be selective about who Direct Messages them with product pitches and the like, then who can blame them? Ike to me (and this point got a bit sidetracked, admittedly the way I framed the post had something to do with this), the follower ratio/non-following wasn't the problem, it's a symptom of a potential problem. IF you have that PLUS low engagement on Twitter PLUS the writers never share non-Mashable content, or never comment on blogs (even their own), then you begin to see a pattern and potentially get a glimpse of how they use social media. Now as for your idea for following, I can see the writers being worried about following everyone and getting slammed with DM pitches. I get that. So I don't understand why Cashmore doesn't follow EVERYONE back from the Mashable account. 1 - Boost the Mashable follower count even more. I think Mashable is Top 10 on Twitter now, following more people would mean more follows, so that could tick them up a few notches on the leaderboard. 2 - If @mashable followed everyone, all/most of the DM pitches would come to that account. Then Pete could have someone scan the DMs looking for pitches. Win/win, it seems. The writers could also add this to their bio to address pitches to @mashable. Perhaps the mashable model will mitigate to more user defined sites(still embracing the global platform)I know this sounds counter intuitive but think of a 'friendly" data collecting site that had geo,interest options. Great topic of discussion and comments. Enjoyed reading this post. If you don't like how they are choosing to use their own account then don't follow them. How did you end up following them in the first place in a manner that left you unaware you were following them? Unless you're using some sort of automated tool then you would have known this about them off the bad. Lisa Barone wrote a great post about this exact issue not that long ago here http://outspokenmedia.com/social-media/twitter-snob/ There is absolutely no reason whatsoever, regardless of your employer or occupation, that any one should be expected to follow everyone back. Twitter is an opt in service. If you choose to follow me great. If I choose to follow you great. If we just so happen to follow each other mutually, awesome. It’s a really good article for me, Must admit that you are one of the best bloggers I ever saw.Thanks for posting this informative article and share with me. Smaller companies are beginning to realise the increasing importance of social media and internet marketing like never before, we in document scanning are really concentrating on this at the moment and will use the advice on here gladly. oh I do agree to what you have written here. I have noticed them too with the same social media. But i Think, as or me, it is important to get connected to media but to those who are relevant and with the same mindset as you, i think. social media could also be used as partner in the business but we have to be wise in utilizing them. I have a twitter account and a lot of people try to follow me then unfollow me after I follow them. It's just wrong to have that kind of strategy in snaring followers on any social media. After that, I privatized my account and decline followers if they sound like a scheming idiot who wants a quick follow up.